Khalid notches his first No. 1 on the Streets Talkin 200 albums chart, as his third release, Free Spirit, opens atop the tally. The set, released on April 5 through Right Hand/RCA Records, starts with 202,000 equivalent album units earned in the week ending April 11, according to Nielsen Music — the fourth-largest week of 2019 for an album. Of that sum, 85,000 were in traditional album sales. The Streets Talkin 200 chart ranks the most popular albums of the week in the U.S. based on multi-metric consumption as measured in equivalent album units. Units are comprised of traditional album sales, track equivalent albums (TEA) and streaming equivalent albums (SEA). The new April 20-dated chart (where Free Spirit bows at No. 1) will be posted in full on Streets Talkin's websites on April 16. Free Spirit’s start of 202,000 equivalent album units is the fourth-biggest week for an album in 2019, and the largest for a set by a male solo artist. The only bigger weeks logged in 2019 were the starting frames of Ariana Grande’s Thank U, Next (360,000), Billie Eilish’s When We All Fall Asleep, Where Do We Go? (313,000) and Backstreet Boys’ DNA (234,000). Free Spirit follows Khalid’s 2017 debut album, American Teen, and last year’s Suncity. The former climbed to a peak of No. 4 back in September of 2017, while Suncity debuted and peaked at No. 8 in November of 2018. American Teen has yet to depart the chart after 110 consecutive weeks on the tally (it climbs 35-33 on the latest chart). Through April 11, American Teen has earned 2.45 million equivalent album units, while Suncity has collected 450,000 units. So far, Khalid’s catalog of tunes has tallied 4 billion on-demand audio streams. 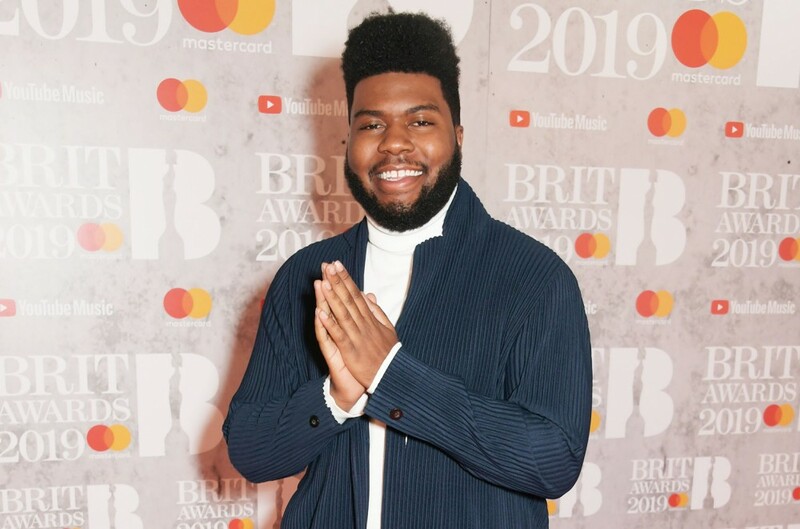 Concurrent with the success of Khalid’s two earlier albums, he has also notched 20 entries on the Streets Talkin Hot 100 songs chart, including a trio of top 10s: as a featured artist on Logic’s “1-800-273-8255” and with “Love Lies,” with Normani, and “Eastside,” with Benny Blanco and Halsey. At No. 2 on the new Streets Talkin 200, Eilish’s When We All Fall Asleep dips from No. 1 in its second week on the tally, earning 118,000 units (down 62%). Sara Bareilles’ Amidst the Chaos debuts at No. 6 on the Streets Talkin 200, marking the singer-songwriter’s sixth top 10 effort. The set launches with 35,000 equivalent album units earned (of which 29,000 were in album sales). She previously visited the top 10 with What’s Inside: Songs From Waitress (No. 10 in 2015), The Blessed Unrest (No. 2, 2013), Once Upon Another Time (No. 8, 2012), Kaleidoscope Heart (No. 1, 2010) and Little Voice (No. 7, 2008). Country duo Brooks & Dunn returns to the top 10 for the first time in nearly a decade, as Reboot debuts at No. 8. The all-star collaborations effort features Brooks & Dunn covering their familiar hits with the likes of Kacey Musgraves, Luke Combs and Thomas Rhett. The album bows with 31,000 equivalent album units earned, with 21,000 of that sum in album sales. All told, Reboot marks Brooks & Dunn’s 10th top 10 album, and first since the 2009 greatest hits album #1s… And Then Some (No. 5; Sept. 26, 2009). With Brooks & Dunn’s 10th top 10 album, the act breaks out of a tie with Rascal Flatts for the most top 10 albums on the Streets Talkin 200 among country duos and groups. Rounding out the new top 10 on the Streets Talkin 200, A Boogie Wit da Hoodie’s Hoodie SZN and Drake’s Scorpion are stationary at Nos. 9 and 10, respectively, earning 30,000 units (down 1%) and 29,000 units (up less than 1%).